Nadia spent most of her life as a captive of the Red Room, but now this teenage super-scientist is spreading her wings! Hank Pym's daughter has a lot of lost time to make up for, and she's determined to change the world. With Jarvis at her side, she's on a mission to bring together the brightest girl geniuses of the Marvel Universe! But Nadia didn't count on evil scientists, man-eating giant rats or the lethal lady wrestlers known as the Grapplers! As Nadia's recruiting drive continues, the Red Room is on her trail - and they'll pull out all the stops to get her back! Can the geniuses of G.I.R.L. find a way to save her from being dragged back to the bunker? And can the original Wasp, Janet Van Dyne, help Nadia forge a fresh future? 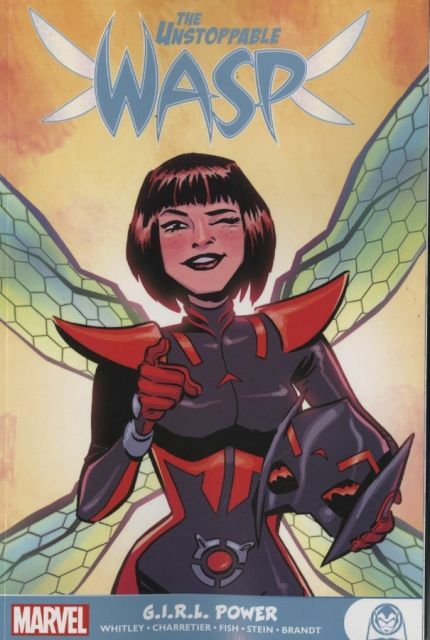 Collecting THE UNSTOPPABLE WASP (2017) #1-8.